By CE Pro Editors · March 6, 2019 • Research from Futuresource Consulting suggests homeowners will continue to embrace smart appliances due in part to their ability to create new experiences in the home. By Julie Jacobson · February 16, 2012 • ABI research suggests 24 million smart appliances and 36 million home energy management systems (HEMS) will ship by 2017. By Julie Jacobson · October 20, 2011 • Major appliance dealers are making the move to custom electronics, but CE pros are missing potential opportunities in smart appliances. Where are the Smart Appliances? By Julie Jacobson · August 23, 2011 • Here's why smart appliances will not make CE Pro's list of 5 Top Home Technology Opportunities for 2012. By Julie Jacobson · August 22, 2011 • Nationwide Marketing Group, representing appliance, furniture and CE resellers, kicks off PrimeTime conference this week. 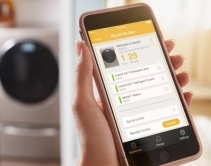 SEN group emphasizes the integrator's role in smart appliances. By Grant Clauser · January 7, 2011 • At CES 2011, LG unveils Smart Upgrader set-top box that adds Internet connectivity and apps to any HDTV. By Julie Jacobson · January 6, 2011 • Luxury appliance brand shows integration with Control4 home control system via ZigBee wireless technology; some 30 models of major appliances already automation-enabled. By Julie Jacobson · May 18, 2010 • GE Appliances & Lighting will introduce major appliances with built-in ZigBee technology for communication with smart meters and the smart grid, but they won't connect to the smart home ... yet.